I see from your screenshot, a layer called mask. Are you trying to use a layer mask? It is one way (a good way) to go, since it is non-destructive. Just open the image as a single layer. For the corners make selection. 2. 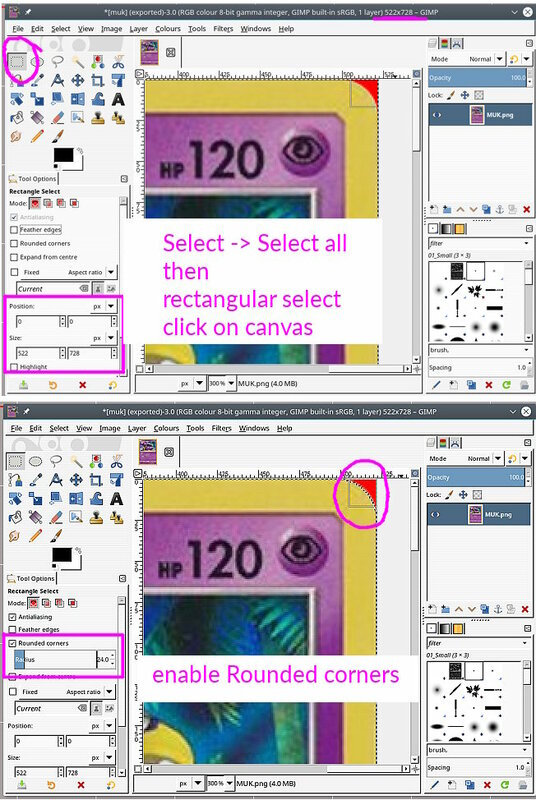 Use the rectangular select tool and click in the canvas. That sets the tool properties for the selection 0,0 for the origin and width/height same as the image. You can always set these sizes yourself if you want to. 3. Click on the rounded corners option and increase the radius value to suit. I think about 24 pixels. 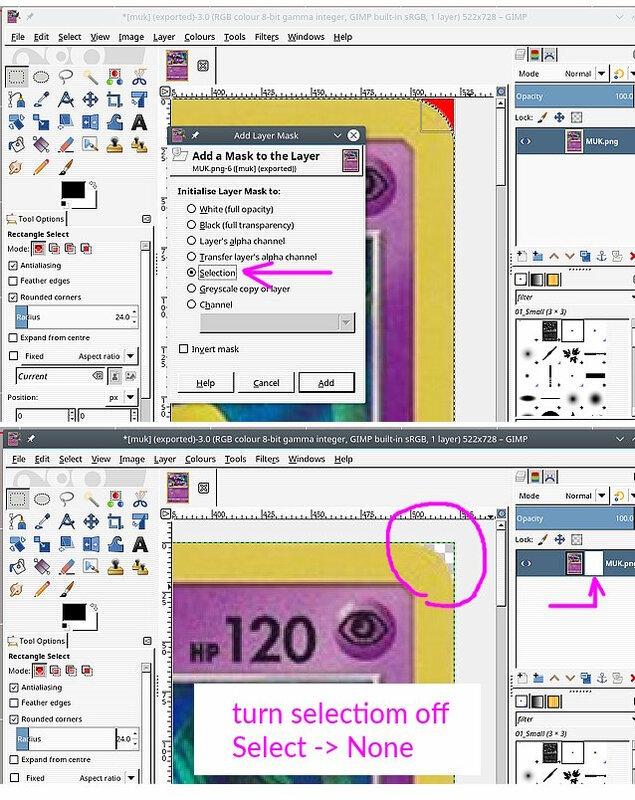 For a layer mask: click on the layer mask icon in the layer dialogue. Painting on the canvas in Black hides, White shows, (greys give partial transparency). Save as a Gimp xcf will keep the layer mask for further editing. Export as a png to keep the transparency created by the layer mask. I was able to resolve the issue by highlighting the red outline I created on the edge of the top layer using the magic wand and then selecting the inverse and then selecting the card layer. I can now after that add other cards as individual layers and the selection will stay while deleting excess borders.